Powder technology is extremely important to a wide range of disciplines and industries including food, pharmaceutical manufacturing, minerals and metals processing, among others. Modeled after a short course designed specifically for graduate engineers working in industry, it presents the fundamental engineering properties of materials--essential knowledge for the design and operation of industrial equipment and processes. Contributors--all experts in their fields--provide comprehensive coverage, with a somewhat academic emphasis on the problems involved in handling massive solids, gases and liquids as industry calls for greater expertise in this field. 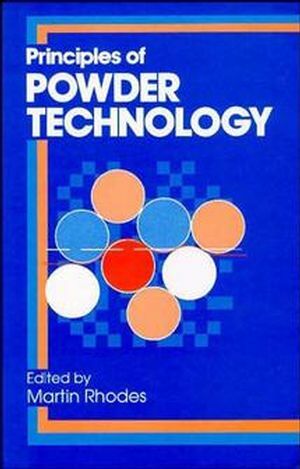 M. J. Rhodes is the author of Principles of Powder Technology, published by Wiley. Powder Processing--The Overall View (D. Geldart). Characterizing the Single Particle (A. Hawkins). Characterization of Powders (L. Svarovsky). Mixing and Segregation in Powders (J. Williams). The Storage and Flow of Powders (J. Williams). Size Reduction (M. Prior, et al.). Explosion and Fire Hazards of Powders (K. Palmer). Health Risks of Fine Powders (E. King). Flow of Liquid-Solid Suspensions (H. Benkreira).